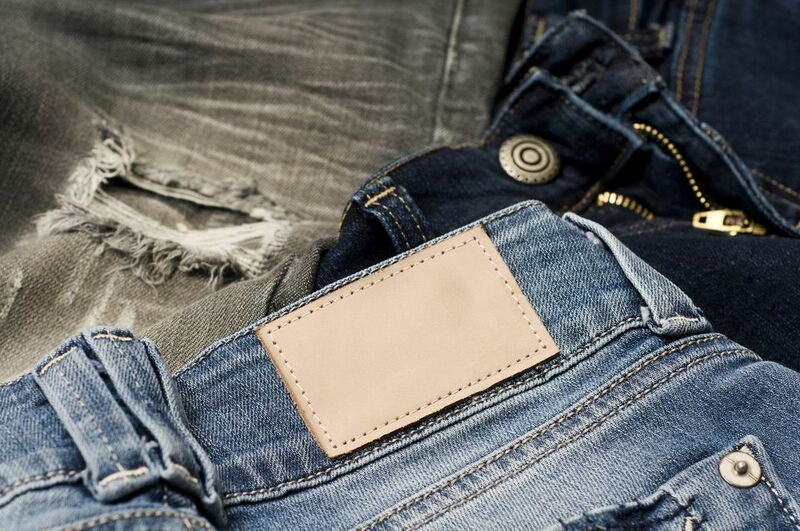 A common problem that can happen with jeans is a belt loop loosening or tearing off. In a few steps, you can repair a torn belt loop by using a sewing machine. 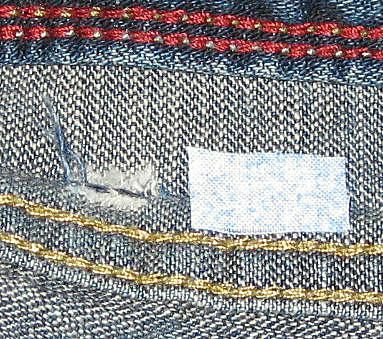 In a particularly bad tear, the fabric under the belt loop is usually shredded as the loop rips from the jeans. There is no need to trash an expensive pair of jeans. Even if the loop tears completely off, the mending job can usually be done easily. Assess the size of the hole where the belt loop needs to be reattached. Keep any threads of the fabric that remain in the hole. Press them in to fill in the hole as much as possible. A small piece of fabric, a scrap slightly larger than the hole. This fabric should be lightweight but tightly woven. If you use a scrap of denim, it might make a patch that is heavy and uncomfortable when worn. If a hole was created where the belt loop ripped off from the jeans, then you will need to fix the hole before you sew the loop back on. If a hole was not made, then skip this step. Place the patch of fabric on the inside of the jeans under the hole. Temporary spray adhesive will keep the threads and scrap stay in place. ​Fusibles can also be used, but you will still need to sew on the piece of fabric for it to be strong enough to hold a belt loop. Thread the sewing machine with the denim thread in the upper thread and bobbin. Place the jeans, outside up, on the bed of the sewing machine. Adjust the stitch width to sew a wide and elongated zigzag stitch. Be sure that the loose threads of the hole and the fabric scrap are flat and in place. Stitch to hold the threads and patch in place. The amount of zigzag stitching will depend on the size of the hole, but you will zigzag just enough to basically "tack" the patch and threads in place, not to close the hole. Set the sewing machine to a straight stitch. Sew back and forth over the hole, horizontally and then vertically, to completely close the hole as if your stitching is new fabric with no gaps in the stitching. Thread the sewing machine with denim gold thread (the usual color used in jeans). Remove any thread that remains from the original stitching that held the belt loop in place. Line up the belt loop with its original position and stitch. Place the stitching where the original stitching was on the belt loop, sewing back and forth until the loop is sewn tightly to the newly created fabric under the belt loop. Trim all of the threads, and your jeans are ready to wear. Save a Fortune By Mending Your Own Clothes!